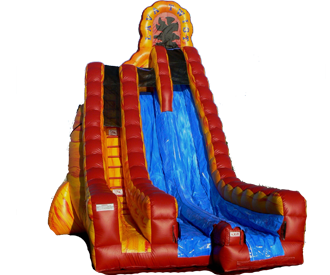 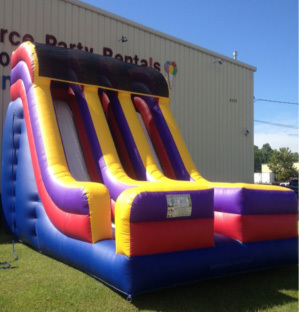 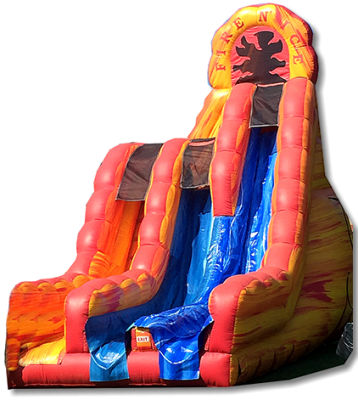 Fun Source Rentals is proud to introduce the first triple lane giant slide in Alabama! 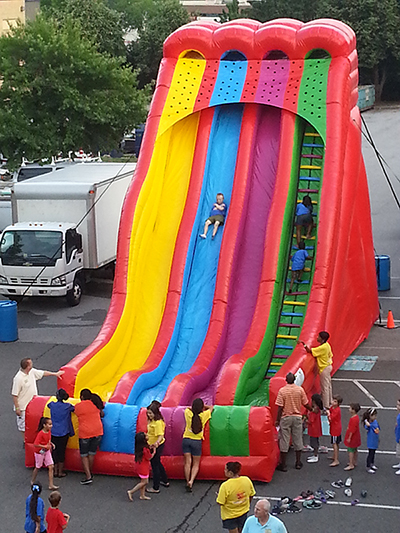 The Triple Lindy is the next level of giant slides with three thrilling lanes of wind the your hair fun! 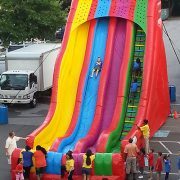 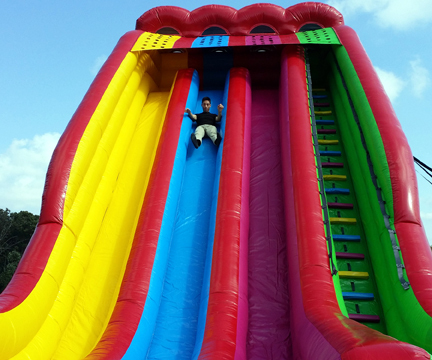 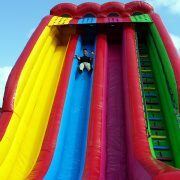 Available both wet or dry, the Triple Lindy is your must have attraction to make your event unforgettable!